If you are like most people in the world you probably have a difficult time trying to decide what to get people for a gift. Deciding what to get someone is hard, especially if it seems like they have everything that they have ever wanted. Choosing the right gift for someone is important because it shows that you put thought and effort into getting them a meaningful gift. If you find yourself in a situation where you have no idea what to get someone you may want to consider giving herbs as gifts. Giving herbs as gifts is a great way to give someone a gift that they will be able to enjoy for a long time. It doesn’t matter if the person already has herbs or doesn’t know the first thing about gardening; herbs can be the perfect gift for anyone. If you are giving herbs as gifts to someone that has never been involved with gardening before you may want to consider getting them an “herb growing kit.’ You can purchase all of the items that will make up an herb growing kit at any local home and garden store. 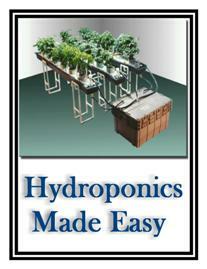 You will want to buy a pot, soil, fertilizer, and either a starter plant or seeds. When you buy a starter kit the person receiving the gift will be sure to have everything that they will need to get started in the wonderful hobby of herb gardening. If you are buying a gift for someone that already has an interest growing herbs you may just want to go out and buy some starter plants or seeds that the person does not have in their garden yet. One good idea is to search the Internet for herbs that are not readily available in your area so that the person can have something new and exciting to grow. There are many different herb websites on the Internet that have a variety of herbs and spices that can be purchased and grown. The herbs bought from the Internet will most likely be seeds as it is difficult to ship live plants. Whether you decide to give a starter kit or exotic herbs as a gift the person receiving it will be getting a gift that they can spend their time on and experience a hobby that they may do for the rest of their lives. Giving herbs as gifts is a great alternative to traditional gift giving.